Good folks from IHG Community have put up the new PointBreak list valid from tomorrow, July 28 until September 30. In three words, it’s great. There are some excellent properties there to be had for 5,000 points a night. And by the way, a lot of bloggers are turned off by Holiday Inn properties, which is ridiculous in my opinion. 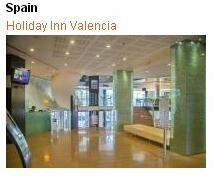 Many Holiday Inns abroad are excellent 3.5-4* hotels. Don’t let the name fool you. IHG PointBreaks give you a chance to see the place you might not would consider otherwise. 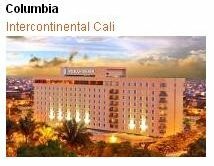 It is foolish, IMHO, to view this great opportunity to experience Intercontinental instead of local culture. Having said that, there are quite a few Intercontinentals and Crown Plazas on the list. Below are the most noteworthy locations (again, IMHO). The new list makes it possible to explore less-touristy cities in the UK, China and Mexico, as it lists several properties in each of these countries. So if off-the-beaten path is your cup of tea, you will be ecstatic! Please remember that I am mostly interested in international, rather than domestic travel, hence my pics below. 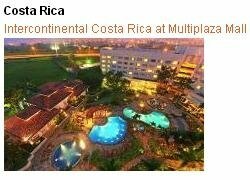 Both hotels are in the city centers, and both feature free buffet breakfast. 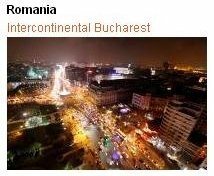 Bucharest is probably the cheapest of old European cities, and now you have a chance to experience it in style. Would I go to Europe just to visit Bratislava? No. But if I were traveling by bus or train between Vienna and Budapest, I would certainly spend a day in the Slovakia’s capital. Why wouldn’t I for about $35? Bratislava is a 1-hour ride from Vienna. There are two Turkish Crown Plaza hotels in this list, one in Istanbul and another one in the beach resort city of Antalya. The Istanbul hotel is in the city center. 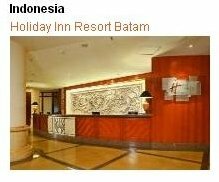 Here is why this Batam hotel is a hidden gem. It’s only 45-minute ferry ride from Singapore. Bali it isn’t, but think of this well-regarded resort as a cheap alternative to sky-high Singapore rates, or as a weekend beach refuge from Singapore’s hustle and bustle. The choice is yours. Yes, Egypt hotels are cheap, but they are not $35 cheap. 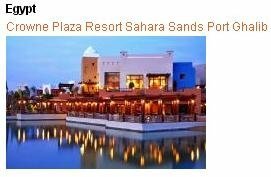 This Crown Plaza is located on the Red Sea. 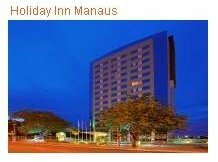 I came back from Manaus about a month ago. If you have always wanted to see the Amazon, you are out of excuses. Right now, the rain forest is still flooded, creating an eerie, surreal spectacle. 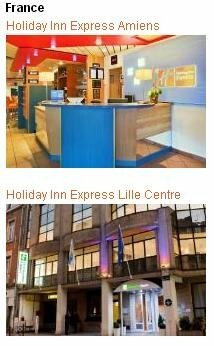 Some reviews complain that the hotel is located away from the city center; to me it’s a pro, not a con. As you can tell, I am not a fan of downtown Manaus. Check my Amazon Tour Photo Report if you haven’t already. 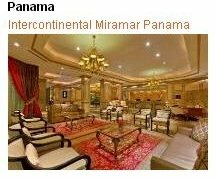 Here is your chance to combine an Intercontinental stay with exploring a fascinating country. Ditto again! Tourists usually dismiss San Jose as a travel destination (not unreasonably), but the capital is still a great base to have some fascinating tours. If you are a Platinum member (everyone with the Chase IHG credit card is) then you might get an upgrade, free breakfast and other goodies, but only if you ask. You can luck out even at the InterContinental, even though you don’t have status with them unless you’re an Ambassador. Remember, it never hurts to ask! If you don’t have IHG points, they are very easy to “buy” with a trick. Please go to my older post and scroll down to learn how. The full list of PointBreak hotels is HERE! Remember to act fast. Really fast! You can always cancel later; however, please don’t hoard. Do not make a reservation just because you can! By booking, you are taking the inventory out, so please be considerate of your fellow travelers too. ← No, Not Again! All Inclusive Resort in DR for $19 PPPN!